How and why are employers involved in the UTC Portsmouth? As lead employer in this venture, the Royal Navy is fully committed to establishing a ‘state of the art’ UTC within Portsmouth. UTC Portsmouth is an exciting addition to STEM education in the city. As lead employer in this venture, the Royal Navy is fully committed to establishing a ‘state of the art’ UTC within Portsmouth. In support of the education and enrichment activities to be provided at UTC Portsmouth the Royal Navy will be offering access to world class workshops and sporting facilities along with developing leadership and self-reliance. The aim of all partners in this project is to establish strong and credible pathways into employment, apprenticeships or university. BAE Systems Maritime Services is part of a global defence, aerospace and security company employing around 93,500 employees worldwide. With our headquarters in Portsmouth and a well-established footprint on the Isle of Wight, we deliver maritime services and support to over 50 per cent of the Royal Navy’s Surface Fleet. We recognise the critical importance of recruiting a diverse range of young people into our business and to these young people we offer robust, planned programmes to develop their skills and capabilities. UTC Portsmouth will help us to create the workforce we need in an increasingly competitive market. 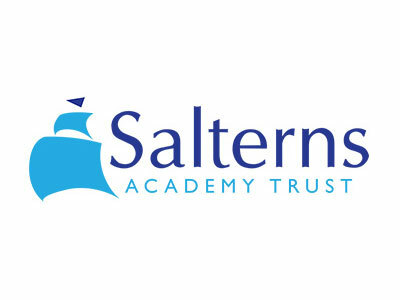 We are committed to ensuring that we build successive generations of suitably qualified young people in the region and we will provide extensive support to UTC Portsmouth through curriculum design, projects and work experience. At dstl, we recruit from the full spectrum of science, technology, engineering and maths disciplines. At dstl, we recruit from the full spectrum of science, technology, engineering and maths disciplines. At our Portsdown West site near Portsmouth, Defence Engineers work to develop the best equipment for the Armed Forces, across the Land, Sea and Air domains. We are concerned about the projected shortfall of qualified engineers in the future. A new UTC in Portsmouth would offer us a pipeline of future Defence Engineers. Based in a maritime city and in collaboration with the Royal Navy, we expect UTC Portsmouth to produce highly skilled engineers with valuable experience of the defence sector, something that our graduates take considerable time to develop. The demand for new talent is growing and the engineers of tomorrow will need to develop their skills in an ever changing environment. 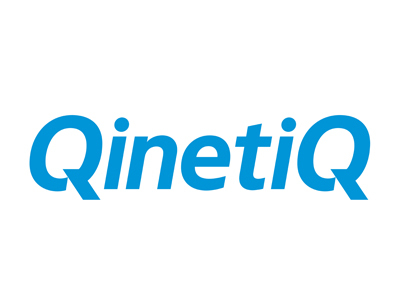 As part of their learning at UTC Portsmouth students will have an opportunity to work with us here at QinetiQ to develop the skills they need for a successful career in engineering. As a founding member of The 5% Club we are committed to valuing the contribution that young people can make and to encourage this we commit to having at least 5% of our workforce either in an apprenticeship scheme or on a student placement, or as a recent graduate. Being an employer partner to UTC Portsmouth is a privilege that enables us to help with the future of young people and the future of engineering in the region. Land Rover BAR’s challenge to win the America’s Cup has created an extraordinary opportunity to inspire the next generation into the STEM subjects of science, technology, engineering and maths. The team want to maximise this opportunity and are committed to supporting UTC Portsmouth in its goal to deliver a high quality vocational and academic education in electrical and mechanical engineering and advanced manufacturing. We very much hope that graduates from these courses will soon be joining our ranks here at Land Rover BAR. Cunard and P&O Cruises’ fleet includes some of the world’s finest ships and they need the finest engineers and technicians, both now and in the future. Like Portsmouth, we have a proud maritime tradition and are very enthusiastic in supporting the establishment of UTC Portsmouth. We are committed to working with the college to develop the curriculum, helping build young people’s confidence and skills and then offering careers like no other to the next generation of mechanical and electrical engineers and technicians. NATS is delighted to support UTC Portsmouth as Engineering plays a key part in the air traffic management industry and the more NATS can do to inspire and nurture student’s interest and skills in this field, the better. The NATS exhibit at the open evening hopes to show the students some key Air Traffic Management concepts through fun activities, such as the “continuous descent hoops” (Continuous Descent Operations fly aircraft smoothly into landing, helping to reduce noise, fuel burn and emissions) and the Oculus Rift glasses with NATS infographics.